Shepard Montgomery loves the feel of a needle in his hands, the ink that he lays on another, and the thrill he gets when his art is finished, appreciated, and loved. At least that's the way it used to be. Now he's struggling to figure out why he's a tattoo artist at all as he wades through the college frat boys and tourists who just want a thrill, not a permanent reminder of their trip. Once he sees the Ice Princess walk through Midnight Ink's doors though, he knows he might just have found the inspiration he needs. Shea Little has spent her life listening to her family's desires. She went to the best schools, participated in the most proper of social events, and almost married the man her family wanted for her. When she ran from that and found a job she actually likes, she thought she'd rebelled enough. Now though, she wants one more thing--only Shepard stands in the way. She'll not only have to let him learn more about her in order to get inked, but find out what it means to be truly free. 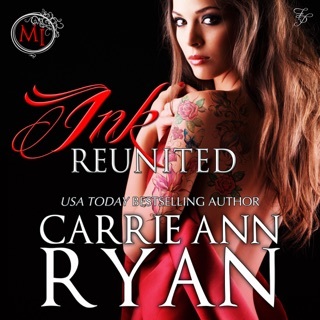 This is the prequel to the Montgomery Ink series.